Old gold color. A dense initial nose displays dried hay and a touch of spice. It develops to more pronounced oak with traces of pears and pepper. The palate is smooth and rich, with an aftertaste of oak and flowers, violets in particular. 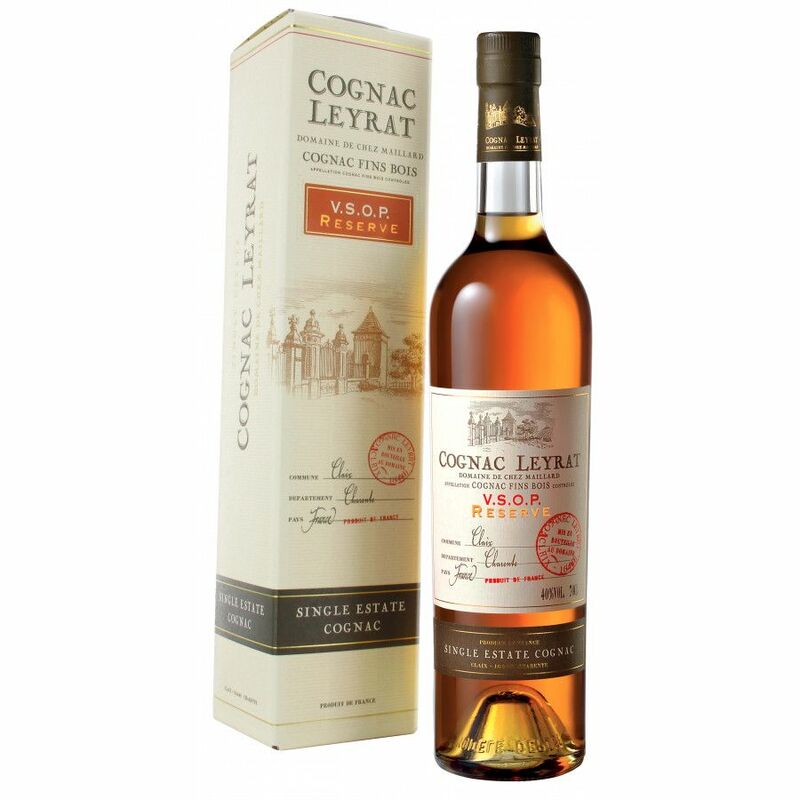 The Leyrat VSOP Reserve Cognac is a Fins Bois blend that offers a very fruity, oaky taste experience. Presented in a traditional style cognac bottle and presentation box, this versatile blend is a great staple to own. It can be enjoyed as a digestif or aperitif - and for a slightly different tasting experience can be tried with a block of ice or a couple of drops of water. Leyrat create a wide variety of cognacs all of which are made with a passion, experience, and knowledge that's been handed down over the generations. This VSOP quality cognac is no exception, and will delight anyone - be they a cognac connoisseur or those only beginning their journey into the joys of cognac.